This topic contains 1 reply, has 2 voices, and was last updated by Al ex 3 weeks, 4 days ago. I am writing this doc in the time when is not implemented like I want, but is already supported. I will do all my best to finish it as soon as possible. As can be seen on picture abobe, in this time, not all icons were finished. How it works. Create folder “Themes” in folder “.MagicBox/” and unzip theme file there. Resulted path should be : ..”.MagicBox/Themes/Theme”. 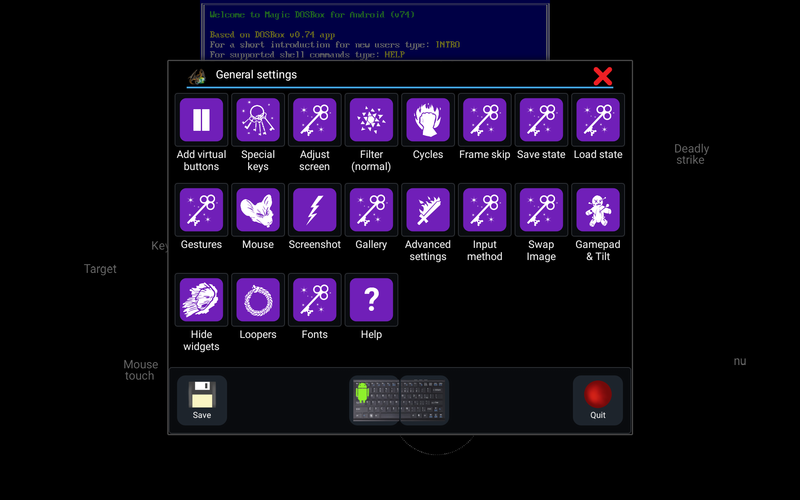 Theme folder contains icons with custom name and config.xml which maps them to codes known by Magic Dosbox.